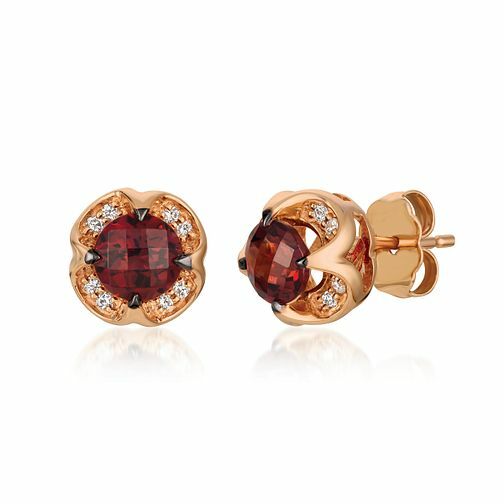 Le Vian presents its delicious world of colour with this pair of fashionable stud earrings, set with Chocolate and Vanilla Diamonds around a Pomegranate Garnet for a noticeable colour accent. The Le Vian name has been associated with the world's finest jewellery since the 15th century and is now worn by Hollywood celebrities and the glitterati. Indulge in delectable Chocolate Diamonds from Le Vian Exclusively at Ernest Jones.